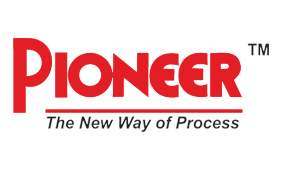 Established in the year 1991, at New Delhi, India, we "Pioneer Udyog", have gained recognition as the noteworthy manufacturer and supplier of an assorted range of Laundry Equipment, Crinkle Machine and Dry Cleaning Machine. In our product gamut, we are offering precision-designed Hydro Extractor, Industrial Drying Tumbler, Side Loading Washing Machine, Jeans Washing Machine, Jeans Garment Dry Processing Machine, Laundry Equipment, Industrial Washing and Dyeing Machines, Garment Finishing Machines, Denim Dry Process Machines, Flat Bed Presses, Flat Work Ironers, Tumble Dryers, Trouser Turners, Scrapping Mannequins, Horizontal Spray Mannequins etc. 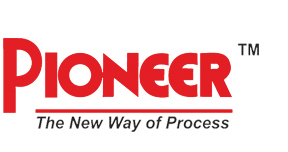 The national and international standards are followed throughout the engineering processes of this machinery. Our highly qualified professionals make optimum utilization of premium grade basic material with the aid of advanced tools and cutting-edge technology to manufacture this range. Optimum functionality, high efficiency, corrosion resistance and longer service life are some of the remarkable features of our offered machines & equipment. With the support of our modern product development activities, we also customize the offered machinery in various technical specifications, to meet client's individual application requirements. Our state-of-the-art infrastructural base spreads over a large area of land encompassing various functional sub-units like engineering, manufacturing, quality-control, warehousing & packaging etc. These departments are installed with the most-modern tools and advanced technology that empowers us to fulfill the bulk requirements of customers within assured time schedules of delivery. The allied processes of these departments are smoothly and systematically carried out under the management of our adroit workforce that holds immense knowledge in this domain. We have recruited a squad of highly skilled and dedicated professionals, who utilize their experience to provide the highest level of satisfaction to the clients. They proficiently handle and control the installed equipment at our production unit, which results in bringing forth an immaculate product array. We are also backed by an adept team of quality analysts, who stringently test our entire gamut at all levels of production in order to ensure that it is free from all kinds of defects and discrepancies. Sailing through success by tilting towards client satisfaction, our organization has achieved tremendous business growth in the industry. With efficient logistics system, fast transportation facilities and wide distribution network, we are promptly delivering the ordered products at the client's end across any part of the nation. Under the visionary guidance and leadership of our mentor, Mr. Joginder Mahajan, we have witnessed the acme of success in the industry. His strong business insight and rich industry experience enables us to garner a huge base of contented clients across the nation.